GPON Optical Network Termination products are designed for operators and service providers who seek advantage from the expanded capacity of a fiber access network. 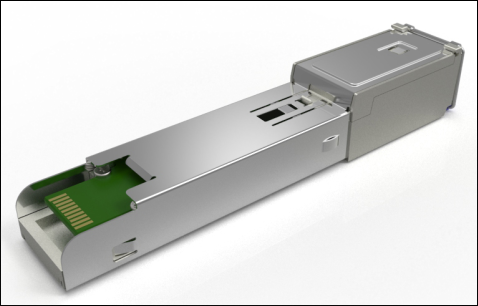 HL-GSFP is a GPON ONT hidden in SFP transceiver and called GPON STICK. HL-GSFP can act as GPON Demarcation Device and is designed to provide affordable access to FTTH networks for Business and Residential use. The products use a single fiber to connect individual houses and businesses to the network for broadband services up to gigabit speeds. It can be used in the any switch (L2/L3), router, CPE or any other device which has SFP port. This gives possibility to connect to GPON network devices like IP DSLAM, CCTV cameras, mobile backhaul devices, WiMAX base stations and other. GPON STICK can operate at extended temperature range (-40 ~ 85℃ ) so it can be used in locations where restricted environmental conditions are important. All products within the GPON family comply with current ITU-T standards for gigabit passive optical networks (GPONs). The network interface is compliant with ITU-T G.984.5 to provide 2.5 Gb/s downstream and 1.25 Gb/s upstream. LAN interface provides Gigabit service. The solution is designed to optimize the deployment and roll-out of the service provider. The ONT/ONU products are tested and have proven interoperability with most major GPON OLT Vendors. The flexible product design enables a variety of product features and available interfaces. All units have Layer 2 functionality by default. This includes advanced support for L2 VLAN’s, L2 QoS and Multicast IGMP. HALNy specializes in cost-effective designs, and works closely with service providers to improve their business case through a comprehensive range of standard products, supporting the industry’s common demands. HALNy also provides custom designs and services to meet unique customer needs.